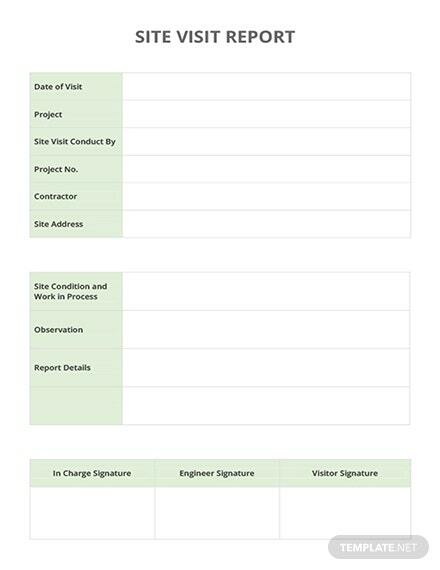 Visit reports are needed when conducting a site visit for particular places or locations. 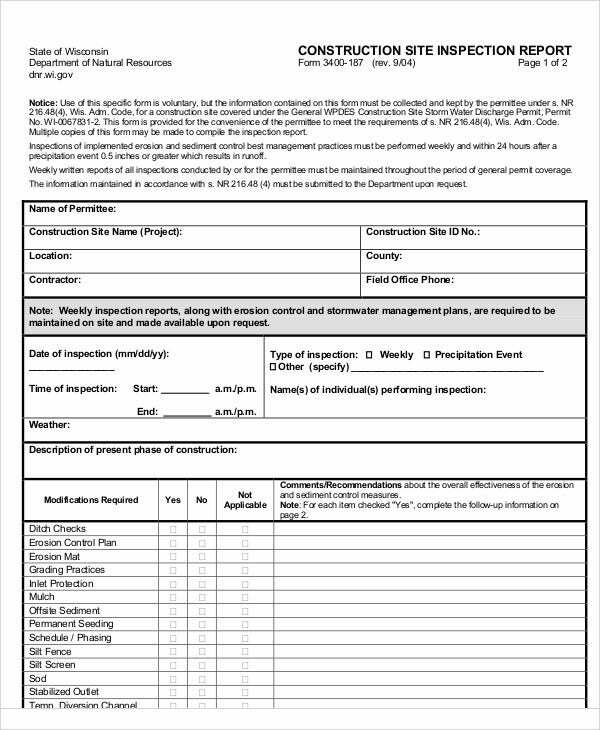 These are reports that show certain information needed when creating an evaluation to the location visited. These are also a way to determine if certain organization within the specified location are following the protocols implemented. 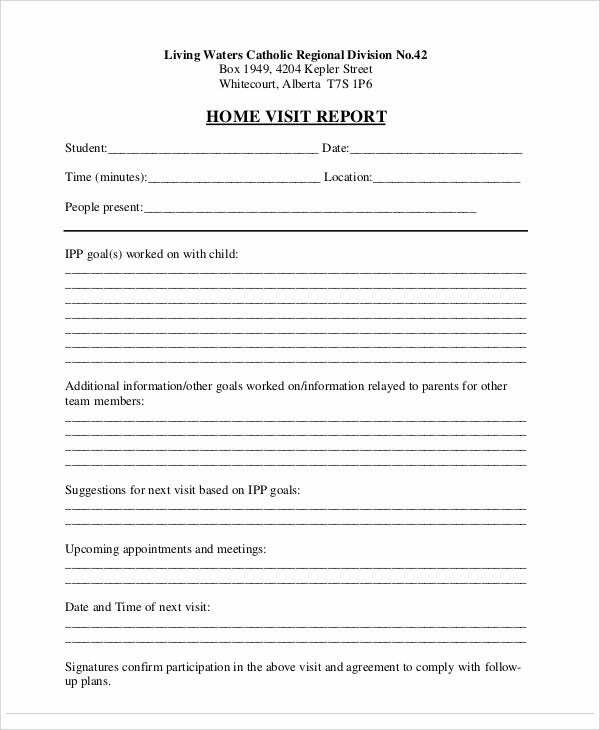 A formal report type is followed when creating a visit report templates. 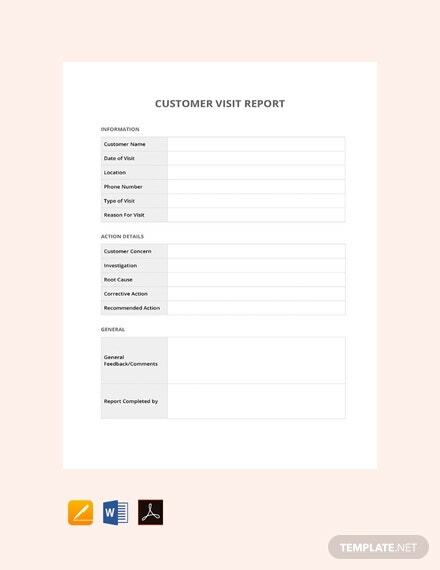 Templates are a way for you to make your visit reports more concise and easy. They contain needed information already, so you don’t have to worry about what data to write up. 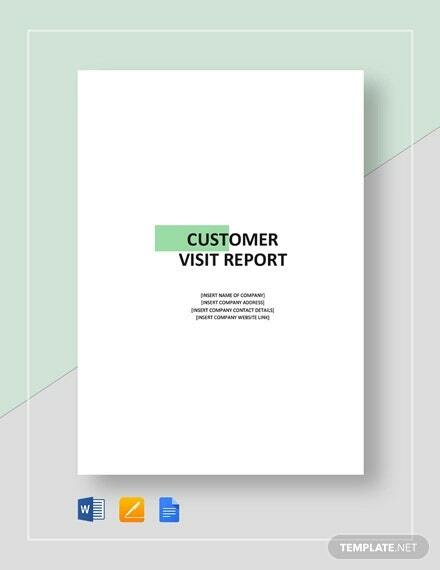 Here, we offer various report templates like executive summary templates and other relevant aspects that are ready for you to download. 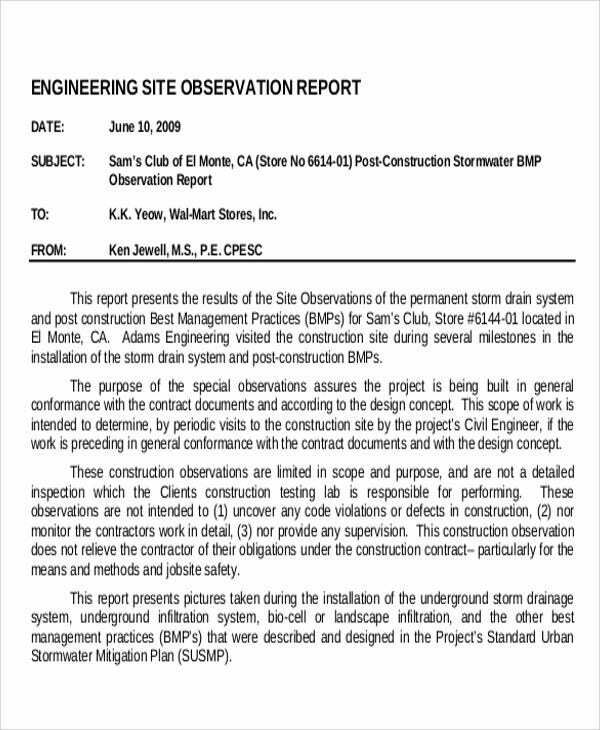 As much as possible, take down sample notes during your site visit. Request reports and other documentation you’ll need to back up the input you are compiling and ensure that you have authorization from your source. Begin analyzing raw data for your visit report as soon as possible. 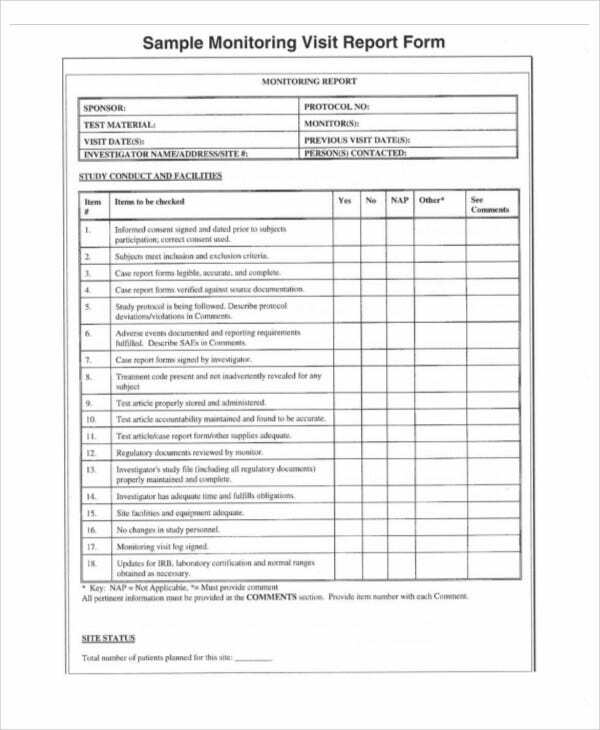 You can follow your company’s format or download our available templates. 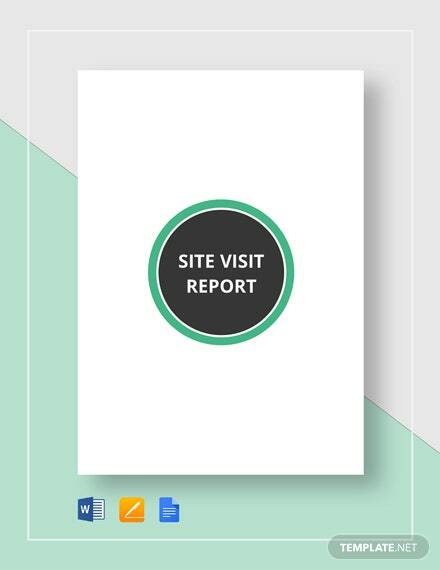 Start your visit report with an area emphasizing typical data such as the name of the site, address, contact person, arrival, and purpose and objectives of the visit. 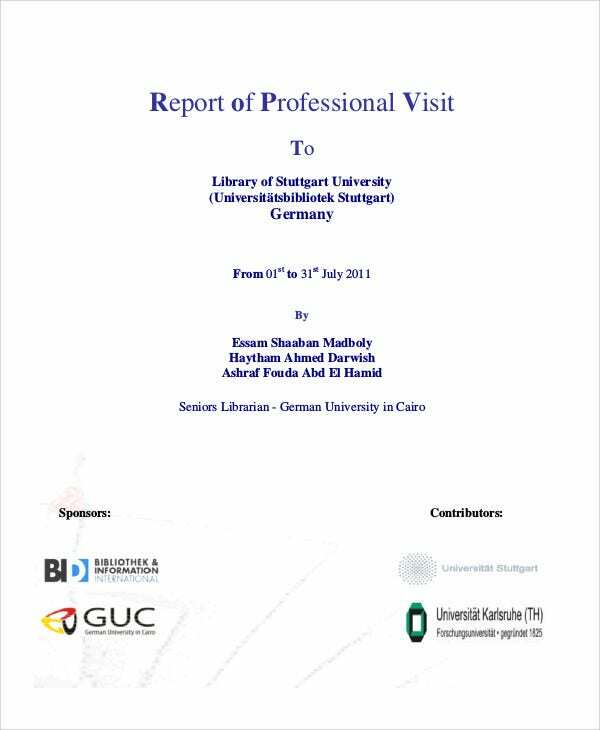 Write an introduction telling the organization you visited. Mention who are those you interacted while on site. Exclude sensitive information from your report. Don’t forget to proofread your first draft. 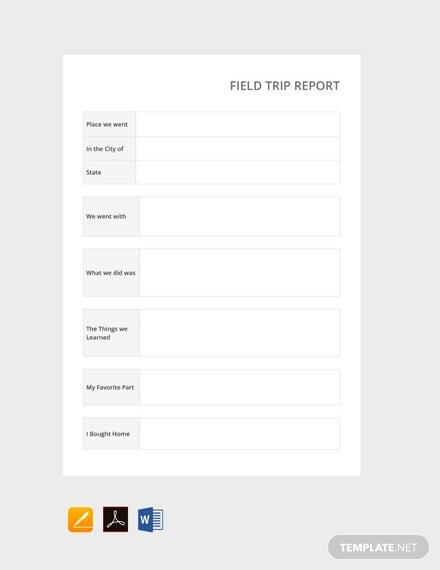 Add titles, subheadings, bullet points, and other organizing details. 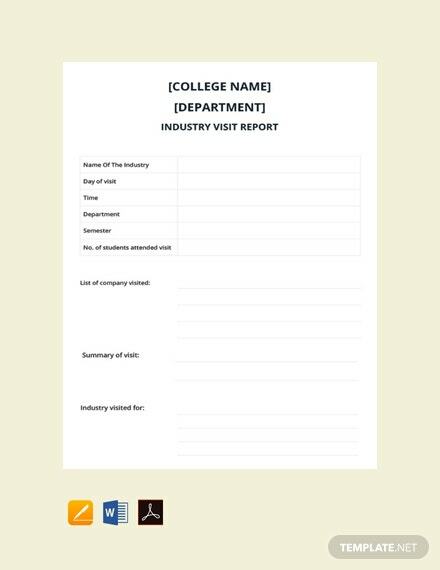 Arrange the attachments following your visit report in an organized manner. 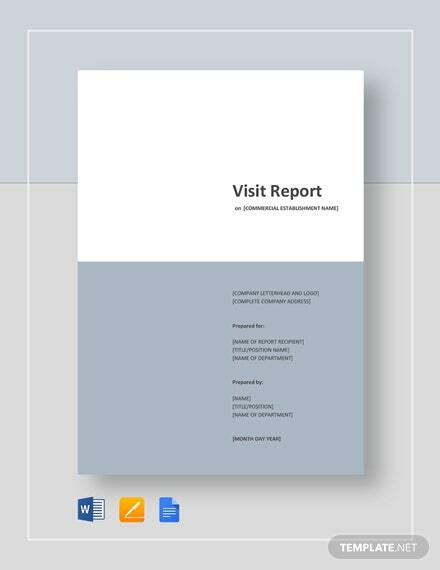 To make your report making faster and more concise, you can also use these visit report templates made available for you. 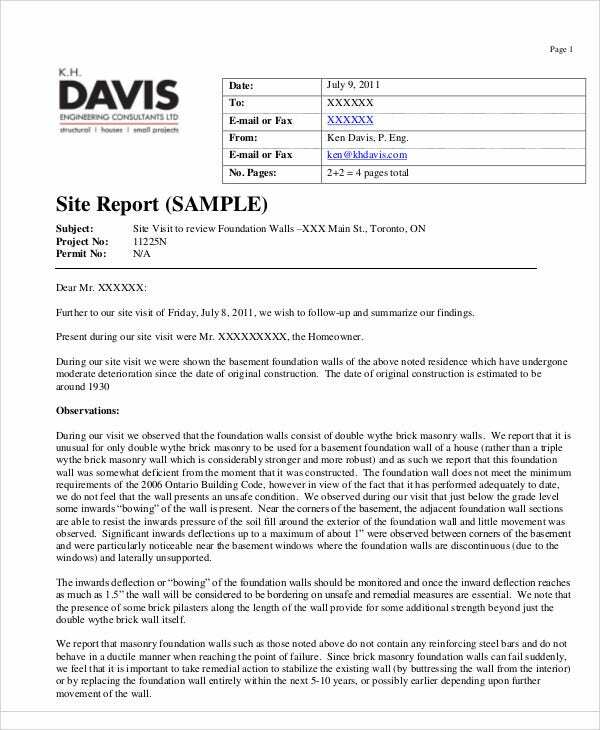 Take note that this type of report can also be in a weekly activity report, monthly, or annual activity report. 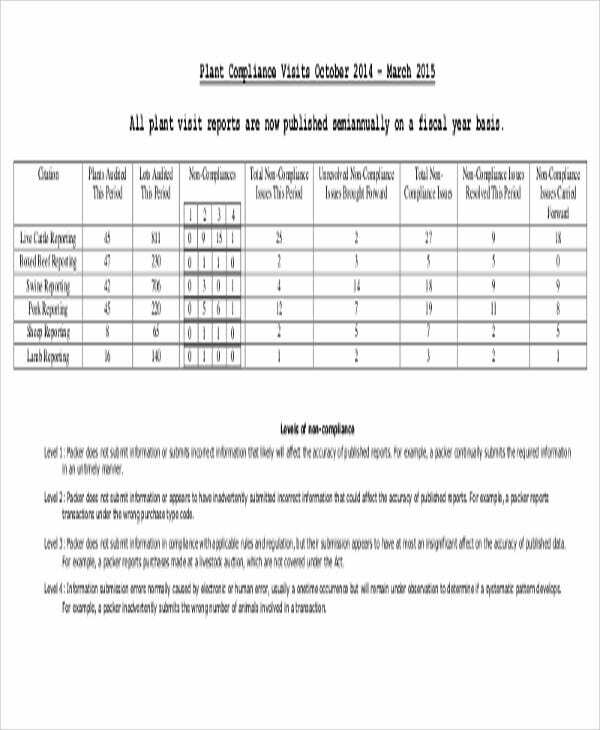 Apart from these, we also offer other report templates. We have status report templates, financial report templates, summary report templates, and so much more. Make your research. Ensure you have the right number of sources for your report. Always make sure that your sources are reliable. Make sure to double-check any facts you find. It is recommended to stay with details gathered by known experts. Write a report statement. This serves as the main concept of the report. This summarizes what you want to prove in your report for your reader. Write a precise and engaging introduction. Your goal is to entice readers to read your report. You should provide some background details on your topic. Write your content. The body paragraphs are where you describe your evidence that supports your report. Each paragraph contains topic sentence and supporting the proof sentence. Create your conclusion. 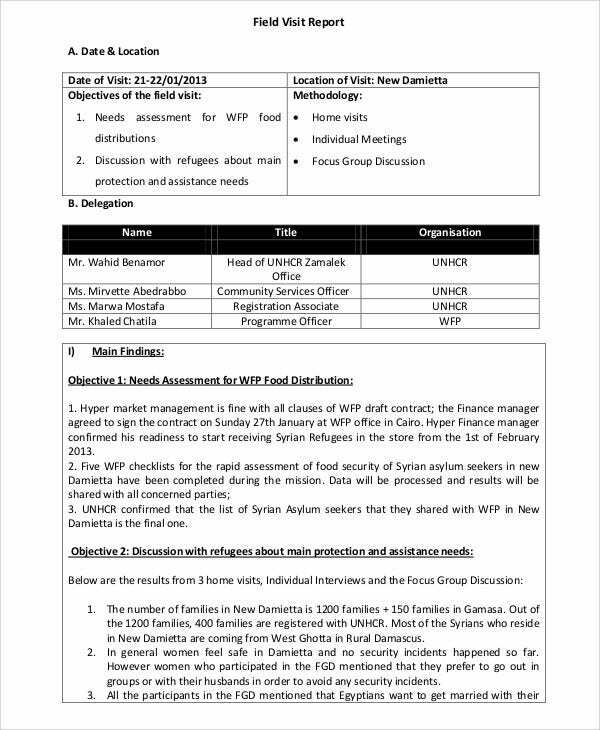 This part should summarize your report and provides your final input. If you are not sure with the formatting, you can use these templates as guides. 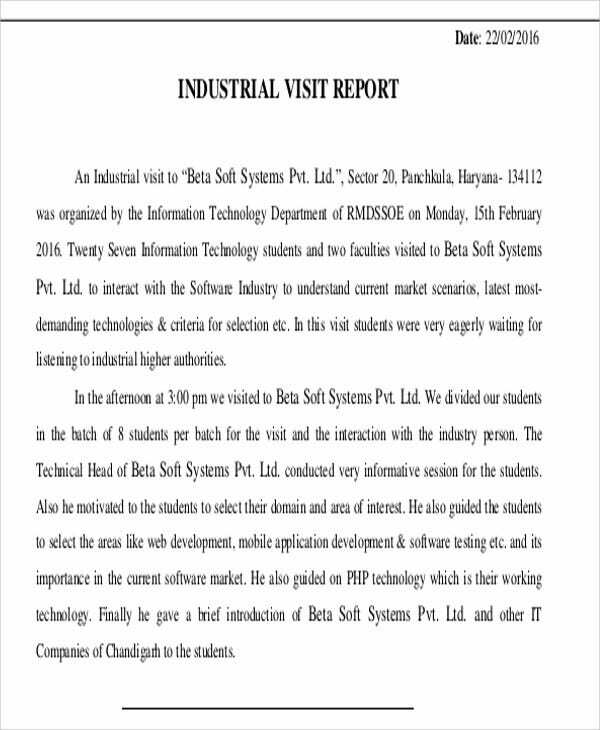 Here, we offer all sorts of report templates that are made easy for the user. 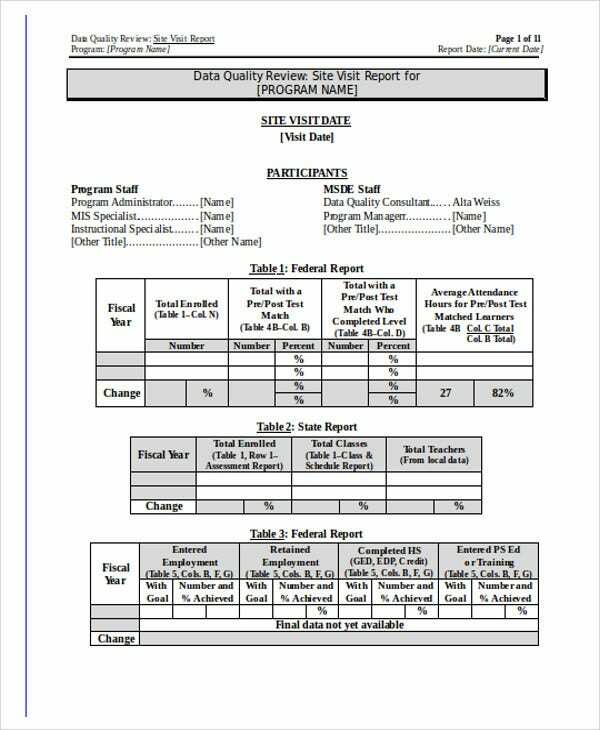 Sales Report Template and Free Daily Report Templates are some of the many samples that Template.net has.